Ledyard, CT (January 21, 2019): On Monday, January 21, 2019 at approximately 12:27 a.m., State Police – Eastern District Major Crime Squad detectives were requested by the New London State’s Attorney’s Office to assume the investigation of an officer involved shooting that occurred in the residential driveway in the town of New London. 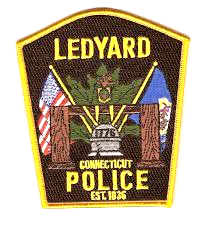 On Sunday, January 20, 2019 at approximately 11:24 p.m., Officers of Ledyard Police Department attempted to conduct a motor vehicle stop in the area of Lantern Hill Road, after the driver involved in this incident nearly collided with a Ledyard Police Cruiser. The suspect, whose identity is not being released as this time, refused to stop for officer and engaged officers in a pursuit. The suspect drove from the travel portion of the roadway and entered a residential driveway. The suspect then drove around the residence and into the backyard of the property. Officers exited their vehicles and attempted to make contact with the suspect. Despite receiving several directives from officers to exit his vehicle, the suspect continued to operate in an erratic manner. The suspect then drove his vehicle towards officers and as a result, two officers fired several rounds from their duty weapon. The suspect was struck at least once. The suspect was immediately transported from the scene to L&M Hospital in New London for the evaluation of injuries. The suspect was later transported to Yale New Haven Hospital. There were no officers injured during the course of this incident. No arrest in the incident has been made; however, charges for the suspect are pending. This incident is an ongoing investigation and as updates become available information will be disseminated accordingly. There is no threat to the public.